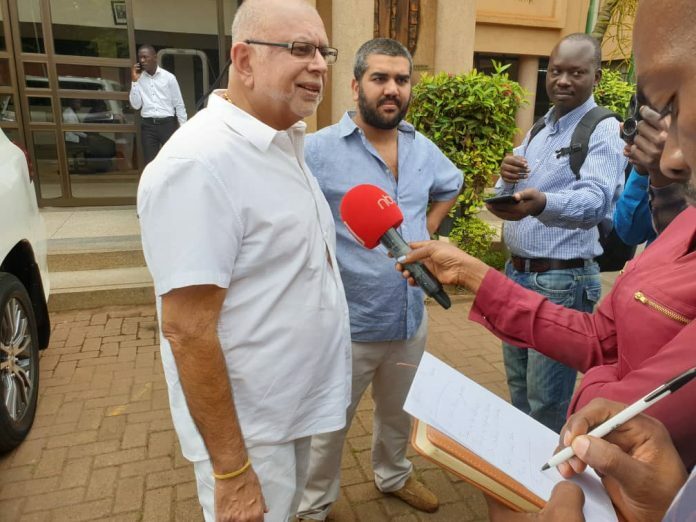 KAMPALA – The Bank of Uganda has agreed to return over UGX 277 million to tycoon Sudhir Ruparelia after officials had held it following the controversial closure of Crane Bank. Mr. Ruparelia had deposited the said money as security for running the three forex bureaus before the central bank held it claiming it was part of defunct Crane Bank. Mr. Ruparelia through his lawyers deemed BoU’s action unfair saying the bureaus were independent of his bank. Following a consent agreement dated December 19, 2018, between Bank of Uganda and Mr. Ruparelia, both parties agreed that Central bank returns the money which belonged to the forex bureaus. 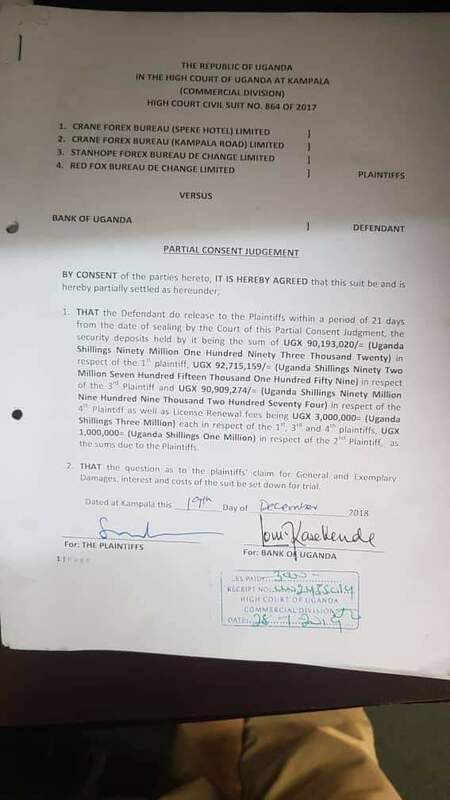 To confirm this, this website has seen a document signed by deputy governor Dr. Louis Kasekende on behalf of Bank of Uganda while Mr. Ruparelia signed on behalf of the bureaus. The document indicated that UGX 90m is in respect of Crane Forex Bureau, UGX92m is for Stanhope Forex Bureau while UGX 90m is meant for Red Fox Forex Bureau. The Commercial Court’s assistant Deputy Registrar, Lillian Buchana signed and sealed the consent in order to give it a legal effect. Bank of Uganda had declined to refund the money despite the various engagements. Mr. Ruparelia then filed a case at the commercial section of the High Court, reasoning that Bank of Uganda (BOU) was denying him the opportunity to use the funds in alternative business ventures and by extension denying him profit from such new ventures. BOU argued that it was holding onto the money legally pending the determination of the case they filed against Mr. Ruparelia.